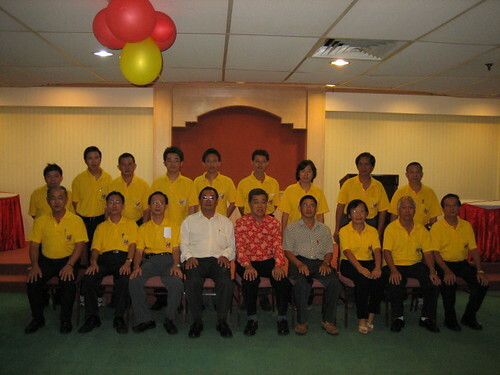 Penang Buddhist Free School Ex Pupils' Association (Foyi) had successfully carried out thier new Board of directors 2008-2010 installation ceremony recently at Jade Palace Restaurant. On the night, Adviser, President and Secretary were invited to deliver their speech on the stage and share with us thier Hope and Mission for Foyi for the next 2 years under Mr. President's leadership. 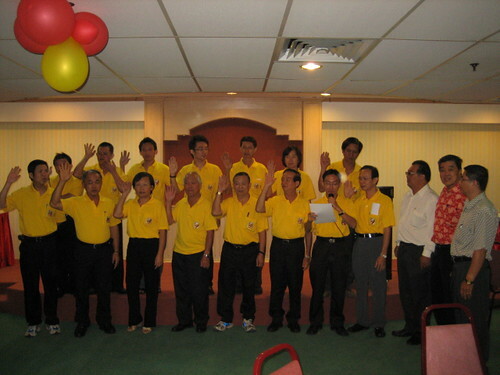 Besides having the installation of Foyi New B.O.D., we also had the installation of our sub-committee members, Wanita Group, and Friends of Foyi (Youth).